So carry your pen and paper to discover more on these. 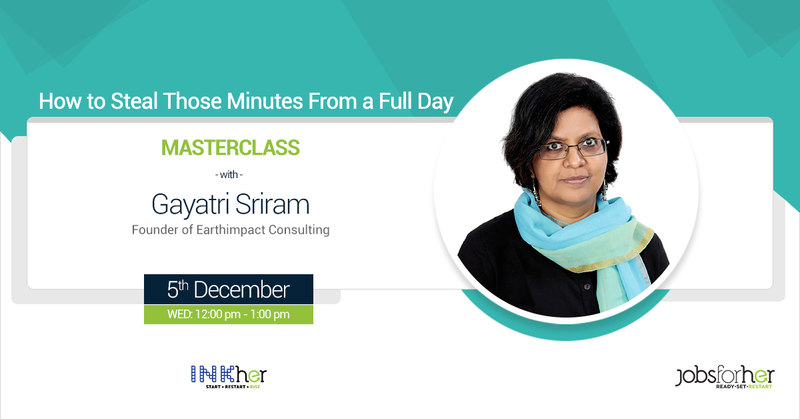 Mentor Details - Gayatri Sriram is the founder of Earthimpact Consulting. she has designed an rolled out several interventions to organizations ranging from nascent start-ups, social enterprises to highly recognized brand names. Her work as a coach and organization development consultant to organisations has been predominantly in the areas of leadership development, organisational growth and self-development. She is a specialist in interweaving self-awareness and empathic connections into larger interventions.